Start taking classes at Acrosports and other studios! This introduction to soft apparatus class will explore basic aerial awareness on the Tissu (Silks) and Sling (Aerial Hammock - a 15ft silk sling hung just below chin height). On the Tissu students will learn climbs, inversions, tying a footlock on the ground and in the air, as well as introducing basic tricks. On the Sling students will explore finding balance in front supports, and back supports. Various poses will be taught with the sling open and closed, as well as basic drops. No previous experience necessary, but Aerial Conditioning and Stretching/Flexibility classes are highly recommended. Attire: Students must wear tight fitted clothing that covers their legs and torso (no bare midriff). Suggestions are: leggings, tights, tank top, tight fitted t-shirt. No zippers, buttons, sequins, or anything that will catch and rip fabric or the tape on aerial apparatus. If training Trapeze or Lyra (Hoop) socks or leg warmers are suggested for ankle protection. If training Tissu or Sling bare feet are suggested. There are no upcoming “Tissu/Sling - Beginning” classes on this day. Athletic apparel is required to be worn in the gym. The midsection and chest on all individuals must be fully covered at all times. The buttocks and groin must be fully covered at all times. Jeans, khakis and pants, with or without buttons, metal zippers, metal rivets, belts and belt loops are all not permitted. We have cubbies & lockers on site, but we do not provide locks. Please bring water in a closed container. We have water fountains on each level. We are located at 639 Frederick Street in San Francisco, directly across from historic Kezar Stadium. 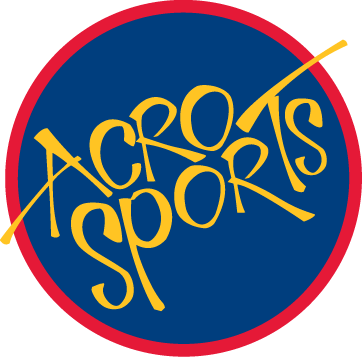 AcroSport's is easily accessible by both Muni Train and Bus. There is on street parking, or if you prefer there is a paid parking lot accessible from Stanyan Street. Walk up the stairs and enter the double glass doors which will take you to our Front Office. Awesome class, Rachel is really nice and adjusts the difficulty she teaches per student. Great class! Its a hard thing to come into just starting. I think conditioning classes are a good way to prepare. Rachel was an awesome instructor and it was such a fun class! The personal instructor was really friendly and attentive. I learned a lot in this class. The main reason why it's one star less is because the receptionist/front desk lady of Acrosports is very rude so I felt unwelcome and uncomfortable in the beginning. Small class. Strenuous. If you are not that fit or flexible, might have a hard time. Teachers were nice. It was my first time and Ashe did an incredible job teaching me the basics! Super fun! The coach made it easy to understand by explaining the moves step by step and gradually increasing difficulty as we learned new skills.